Heather began calling volunteer flight organizations. As soon as she told them her son needed a transplant, she got the same answer. “We don’t do transplant flights because they are too unpredictable.” She thought of how Luke spends 8 hours a day hooked up to a breathing machine. She thought about Luke watching life go by, unable to play with his siblings. This would not be Luke’s life anymore. She called the next organization on her list. Wings Flights of Hope. She told them her son needed to be transported for a lung transplant, but that didn’t dissuade them. They agreed to fly Luke. They would get him to Pittsburgh in under 3 hours. Heather managed to keep it together long enough to call the Hospital back to let them know that Luke was coming. There is only a 6-hour window for a transplant once the organ is harvested. The clock was ticking. Heather got Luke to the airport as fast as she could. 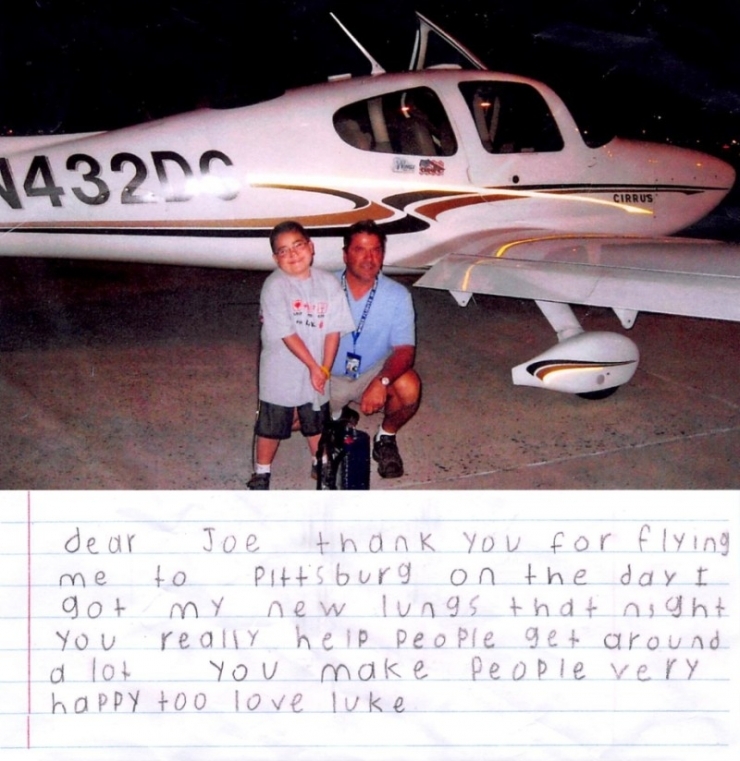 Once they boarded the plane, Wings Flights of Hope wasted no time getting Luke to Pittsburgh. They arrived at the Hospital where Luke was immediately prepped for surgery. They made it in time. Less than 6 hours after Heather got the call, Luke had traveled 200 miles and received the lungs that saved his life. 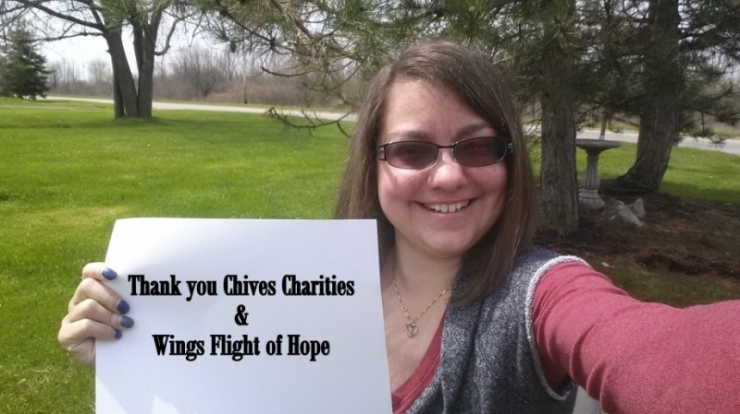 It never would have happened without Wings Flights of Hope. 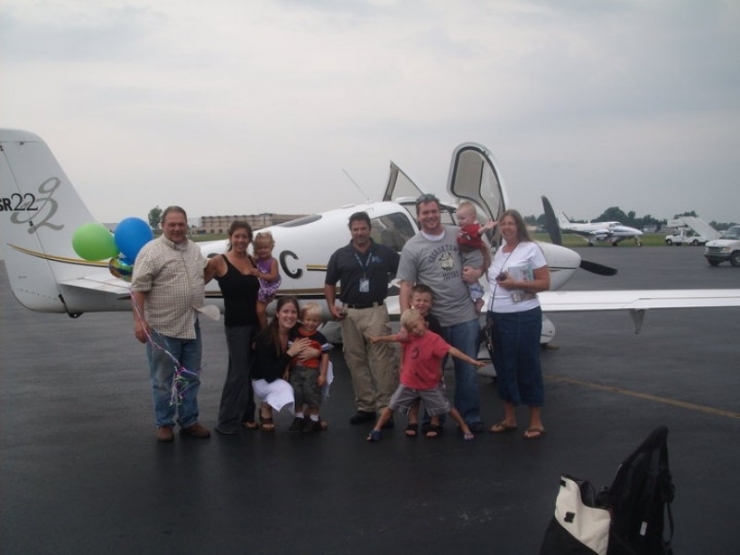 Wings Flights of Hope was founded in 2010 by pilot Joe DeMarco and his wife, Diane. It all started a few years earlier when Joe’s friend, Kevin D’Angelo, who is also a pilot, invited Joe to accompany him on a flight. Joe didn’t know that flight would change his life. They would typically just fly for fun and grab lunch somewhere, but this time Kevin neglected to mention where they were going. They landed in Pittsburgh to pick up a mother and her baby. The mother was crying hysterically, thanking Joe and Kevin. Joe had no clue what was going on. 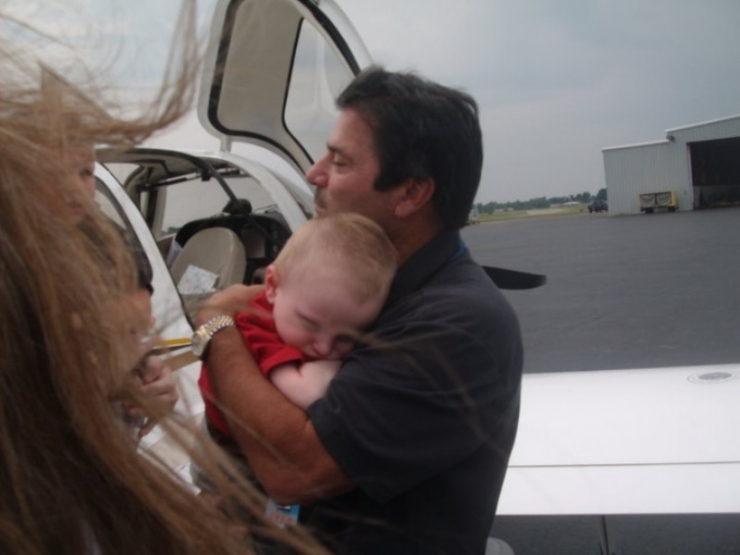 It turned out that Kevin was a volunteer pilot and the baby had a spinal cancer tumor. Kevin was giving them a free lift to a hospital in New York where the baby could get surgery. He had brought Joe along for the ride. Joe was hooked. He came home to Diane that night and said, “I’m going to do this.” He immediately began volunteering with an organization based out of Boston, but after a few years he noticed there was a need for volunteer flights in his own community of Buffalo, NY. Joe and Diane talked it over. They both agreed. Wings Flights of Hope was born. Wings Flights of Hope provides air transportation to people for medical and humanitarian purposes that is 100% free of cost to their clients. It is their mission to make sure that people receive the best possible treatment available. 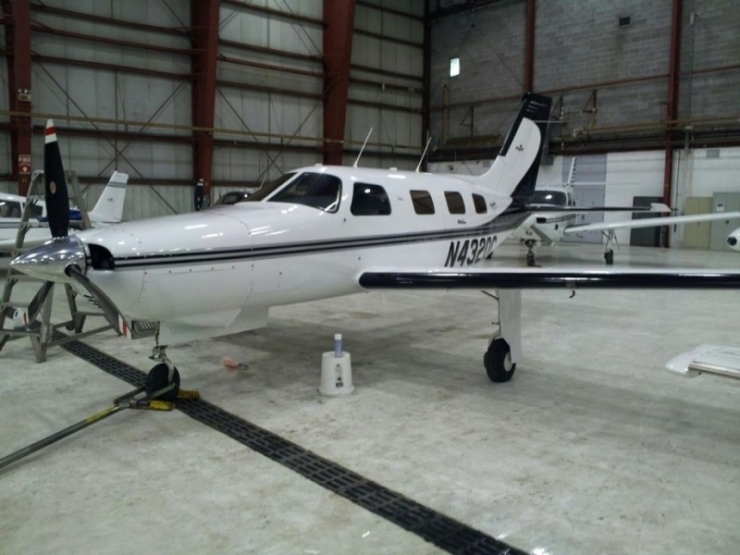 Medical flights can cost upwards of $15,000. Wings Flights of Hope removes the barriers of cost and distance, but also provide “a safe, germ-free, comfortable” ride, according to one of their clients. Commercial airliners, with hundreds of different people in and out each day, are like giant petri dishes of deadly germs to people with weakened immune systems. Those people require a safe, sterile environment that Wings Flights of Hope provides for free. Wings Flights of Hope has 2 dedicated aircraft. All other pilots are volunteers who use their own planes. If a pilot wants to volunteer but doesn’t own his own aircraft, he can use Wings’ second plane. They currently have a network of 27 pilots from all walks of life. “We have a pilot who is an architect. Sometimes if a call comes in, he’ll take a day off work just to fly someone,” Diane tells us. “People with planes look for a reason to go out flying somewhere,” Joe explains. “Being a Wings pilot gives you a real purpose for your mission.” While the volunteers provide their own aircraft, Wings Flights of Hope reimburses their fuel costs. Some pilots dismiss the fuel reimbursement and choose to fly people on their own dime. The pilots consider it an honor to fly someone in need. 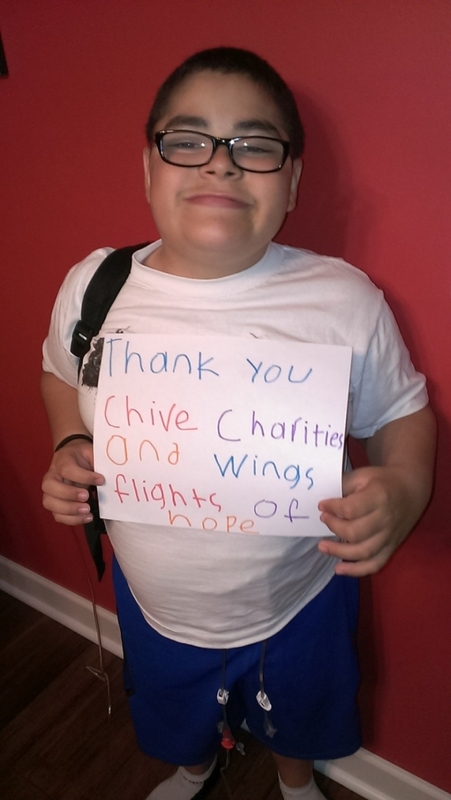 With the help of their generous volunteers, Wings Flights of Hope is able to fill 98% of qualifying flight requests. The only variables that have prevented them from offering a flight have been things out of their control, such as the weather. They are on call 24/7 and go above and beyond (literally) to make sure they get their clients to their destination, free of charge. It’s no secret that aviation is an expensive industry. Anyone bold enough to start a non-profit with 2 airplanes as its foundation is destined for financial hardship. Wings Flights of Hope is hurting. Despite the critical role they play in saving so many lives, in 2012 their expenses were greater than the amount of donations they received. Joe and Diane have dedicated their lives to giving hope to the people who need it, but now it’s they who are in need. 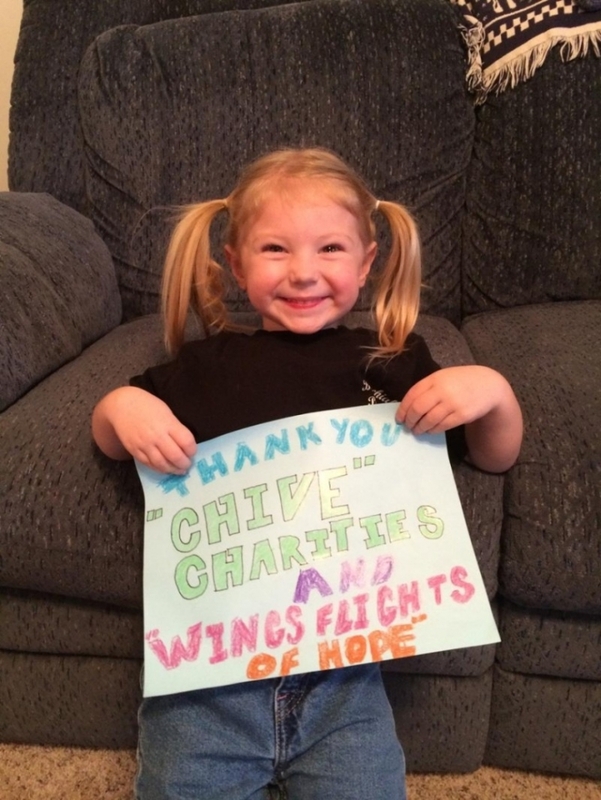 Today, the Chivers are the ones bringing them hope in the form of a $50,000 grant from the Chive Fund! The grant will go towards essential airplane maintenance, fuel costs, hangar fees, and advertising to spread awareness about their noble mission. Joe and Diane DeMarco, the founders of Wings Flights of Hope. One of Wings Flights of Hope's dedicated aircraft. 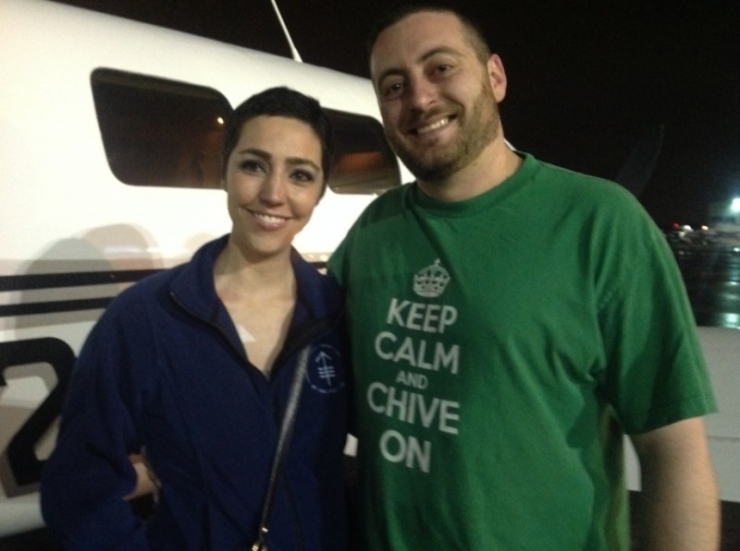 The day we told Wings Flights of Hope that Chive Charities would be making a $50,000 donation, the next passenger they picked up happened to be wearing this shirt. Wings Flights of Hope flies an average of 2 flights a day. At over 700 flights a year, they have played an essential role in saving thousands of lives. Even though they are based in Buffalo, NY, they can assist people from all over the country. They are members of the Air Care Alliance, which is a network of volunteer flight organizations that coordinates available pilots across the nation to where they are needed. The pilots for volunteer flight organizations play an integral, often unnoticed part in saving lives. 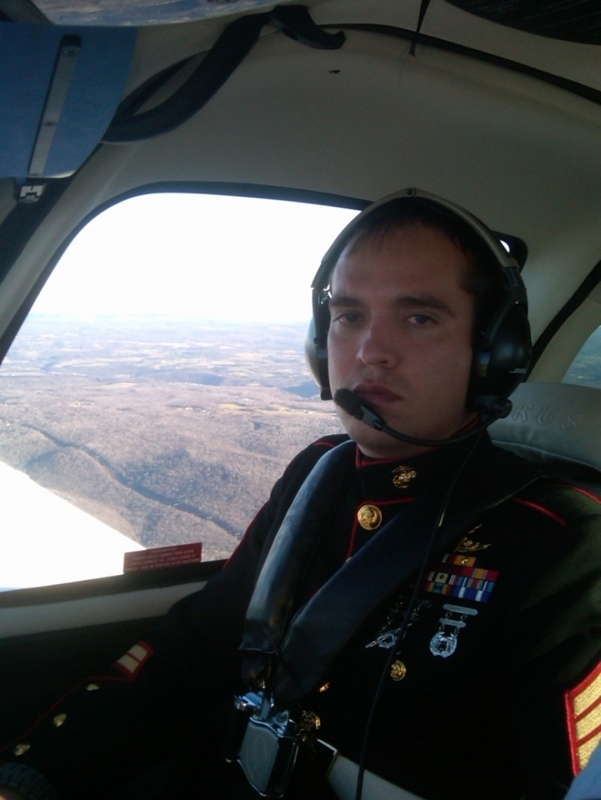 John needed medical care after getting injured while serving in Iraq. Wings Flights of Hope provides free flights to troops who need medical attention. They also go one step further by providing free flights to the families of wounded troops so they can be with their loved ones. When Maya was 1 year old, she was diagnosed with stage 4 neuroblastoma, a rare form of cancer that develops from nerve tissue. The closest team of doctors that could help her were 8 hours from home. Maya was unable to travel commercially because the chemotherapy had compromised her immune system. Her family tells us, "There are no words to convey how instrumental Wings Flights of hope has been in saving Maya's life. Wings Flights of Hope was our angel." After battling with Cystic Fibrosis, Elisha needed new lungs to survive. She lives in Buffalo and needed to be in NYC at a moment's notice. "The Call" for her new lungs came in the middle of the night on July 6, 2013 at 4:22 AM. Wings Flights of Hope was ready for her. They flew her from Buffalo to NYC in time for her life-saving lung transpant. Elisha says, "Joe is the most giving and selfless person I know. He will try and do whatever he can to make things happen." Sydney was born with a physical disability called Brachial Plexus Palsy which causes her to lose full function of her right arm. She eventually had surgery that put her in a full upper body cast. She was a 7-hour drive from the doctors who specialized in her condition and they did not want her sitting in a car that long. Wings Flights of Hope gave her a lift to her appointments. 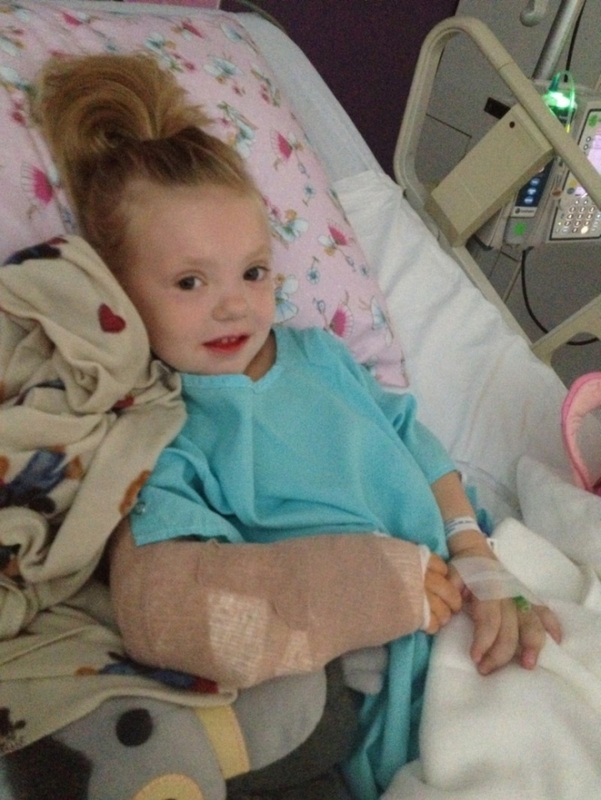 Her mother tells us, "My mind is at ease knowing we can quickly get to hospitals that can help her. Wings Flights of Hope is a blessing. I'm extremely grateful for their services." You gotta love how Sydney nailed theCHIVE font! At 8 months old, Audrina was diagnosed with Olliers. Her condition affects nearly every bone in her body. If she travels for more than 1 hour, it becomes painful and she gets sick. Her mother tells us, "Joe and the other amazing pilots have taken Audrina to her appointments and back in record time. We are forever grateful. Although her journey will be lifelong, it comforts her dad and I to know that there are true angels along the way to help ease her path."